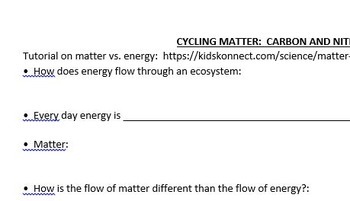 This page corresponds to my Carbon and Nitrogen Cycles PPT, that is also on sale. This page includes a lot of visuals and QR codes/website for additional tutorials on the cycles. This page will help the students organize the information from the lesson.